Converting OST to MBox in batch! Our flagship Total Outlook Converter program is famous for the amount of non-email output formats it can handle when it comes to extracting your data. 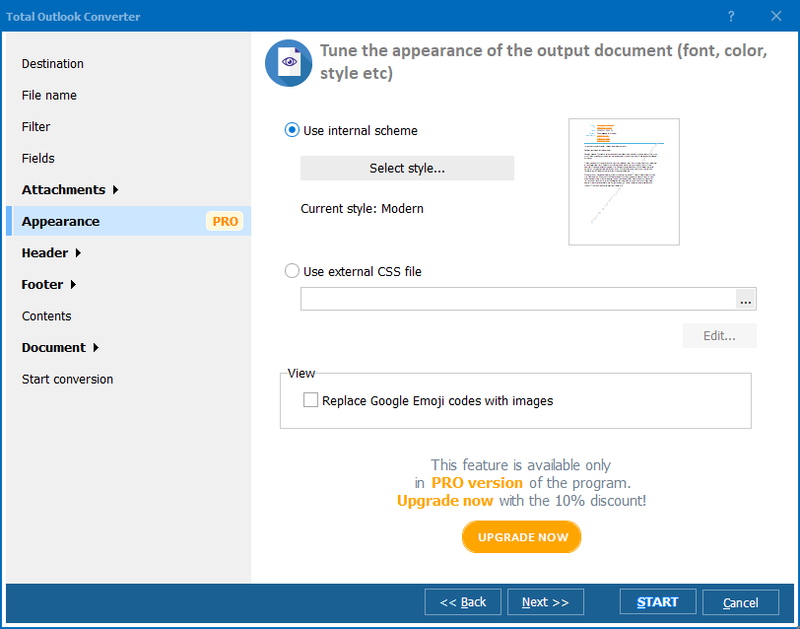 PDF, TIFF, DOC, XHTML and JPEG are all supported, in addition to numerous other formats. What a lot of people do not realise is that it is equally effective when it comes to migrating between mailboxes - for example, if you need to convert OST to MBox. These days, of course, it is all too common for people to have multiple mailboxes, even within their company accounts. If you need to migrate OST to MBox then you are probably talking about dealing with thousands of files so the need for a dedicated tool that can handle bulk processing is essential. Support for both OST and PST files comes as standard and the application can automatically search for Outlook files on your machine. Calendar and contact information is also supported. A sensible range of options for handling content in attachments is at your fingertips. A range of filtering options lets you take control of your conversions and export only the fields you are interested in. 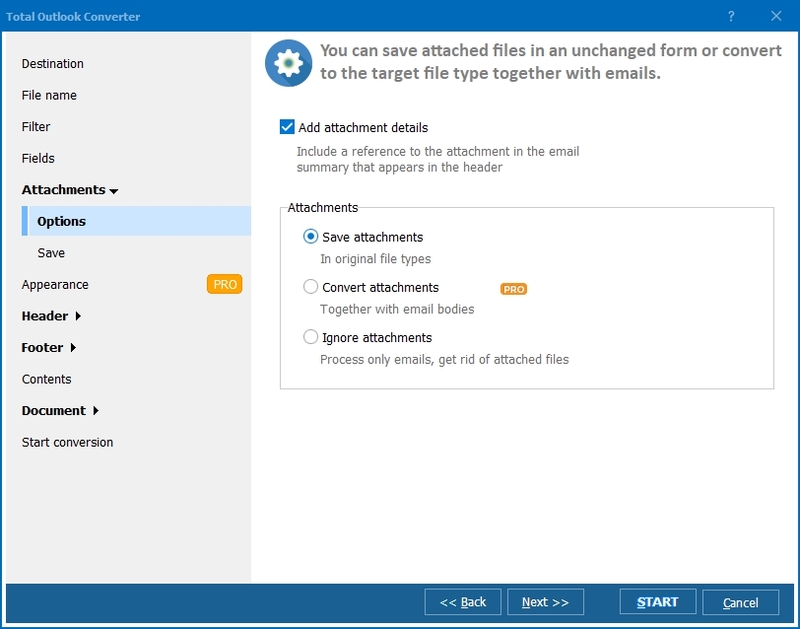 Whether you are looking to migrate your inboxes or export their contents to a particular format, you have two basic choices in terms of how you use Total Outlook Converter. Power users can bend the software to their will directly via the command line where a few keystrokes is all that is required. 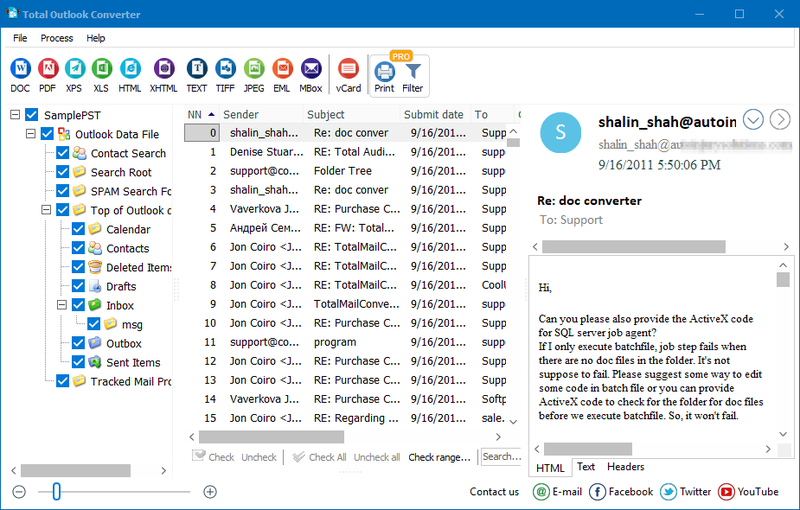 Those more comfortable with a screen-based approach will find Total Outlook Converter's intuitive GUI a breeze to use. The software is also available in a version that can be integrated directly into your own application in the form of the ActiveX-enabled server license. 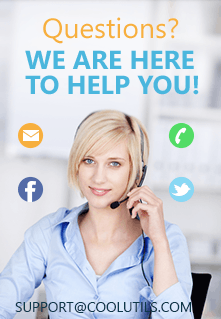 We have been developing our comprehensive range of conversion solutions for over a decade and you will struggle to find a more powerful solution than Total Outlook Converter at anything remotely resembling its affordable price. Do not just take our word for it though. Download a 30-day free trial and discover the software's power for yourself before purchasing!